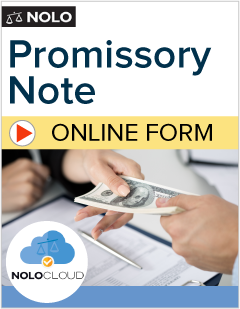 Nolo offers hundreds of do-it-yourself products, including legal forms, books and ebooks, and software. You can generate a customized estate planning form like a will, a living trust, or a power of attorney in just minutes. Landlords and tenants can easily download a lease form that comes with state-specific instructions and information. Businesspersons can create an LLC and get common business forms they’ll need to operate their businesses. All of our products are written in plain-English and are consumer friendly. Our products help many people understand and apply the law and create useful legal documents. However, general information is never a substitute for personalized advice from a knowledgeable lawyer. If you want professional advice about how the law affects your particular circumstances, or the best way to craft or use legal documents, consult an attorney licensed to practice in your state. Chapter 13 bankruptcy explained -- find out if it's right for you. Learn all about chapter 7 bankruptcy without an attorney. Eliminate your debts by finding the best strategy for your situation with this practical guide. Find the best care in the right place at the right price with this all-in-one guide! Our easy-to-use service helps you to form your California LLC directly online. Simply follow our detailed, step-by-step instructions and leave the rest to us. Learn practical financial strategies for divorce -- divide debts, set alimony, negotiate a fair settlement, and more. Get the answers you need to create the right child custody and support plan. Your legal companion through all stages of separation and divorce. Wage laws, employee benefits, and everything else employers need to know, all in one guide. Meet your company's legal obligations to the FMLA with this all-in-one legal resource. Your guide to the laws that protect you at work, all in one plain English handbook. Live in the U.S. legally and shave months or years off the time it takes to become a citizen. If you're married or engaged to a U.S. citizen or permanent resident, and need to get a visa, this book is for you. Get your green card with all the essential information you need in one book. Secure legal use of copyrighted images, text, music and more with this comprehensive book. Keep your nonprofit's tax-exempt status and stay out of IRS trouble. All the forms and step-by-step instructions to start and run a nonprofit in your state. Start a nonprofit organization with this practical step-by-step guide. Deal with common neighbor disputes, including noise, trees, blocked views, and more. Buy your first home at the right price with tips and advice from the experts. Sell your home for the best price in any market with this all-in-one guide. All of the information and legal forms you need to create a living trust. Complete estate planning software. Includes Wills, Health Care Directive, Power of Attorney, and other essential documents. Works on both Windows and Mac! Settle an estate or trust with this all-in-one guide for executors.